The table lamp Wanda consists of a snow white fabric lampshade and a rectangular ceramic base - with a wonderful texture. It spreads an atmospheric light in a modern living space and provides a decorative touch at the same time. 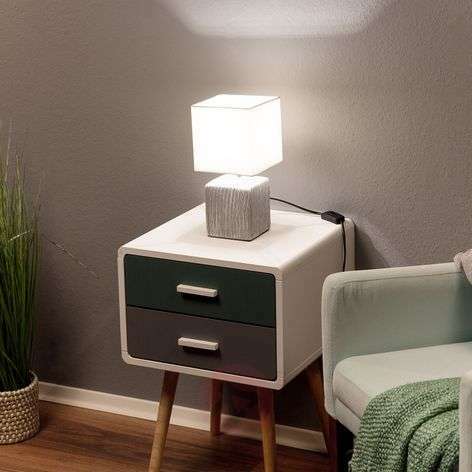 It is controlled using a toggle switch located on the cable and is perfect for placing on a side table or on a chest of drawers, thanks to its compact size. Wanda provides a wonderfully glare-free light there with the help of its fabric lampshade.